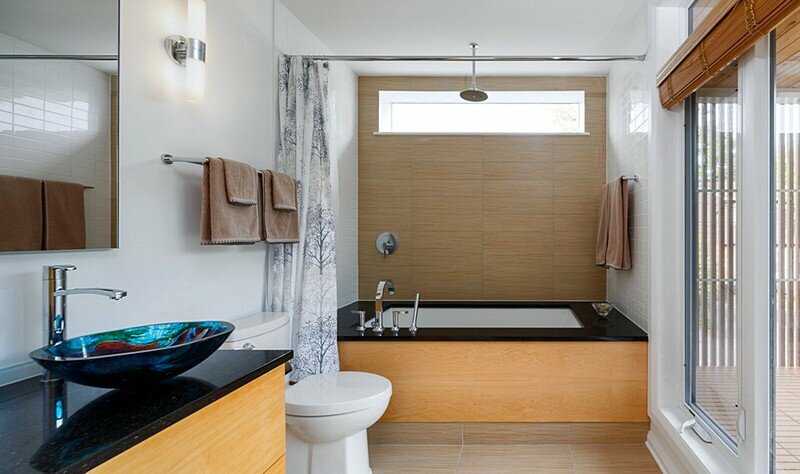 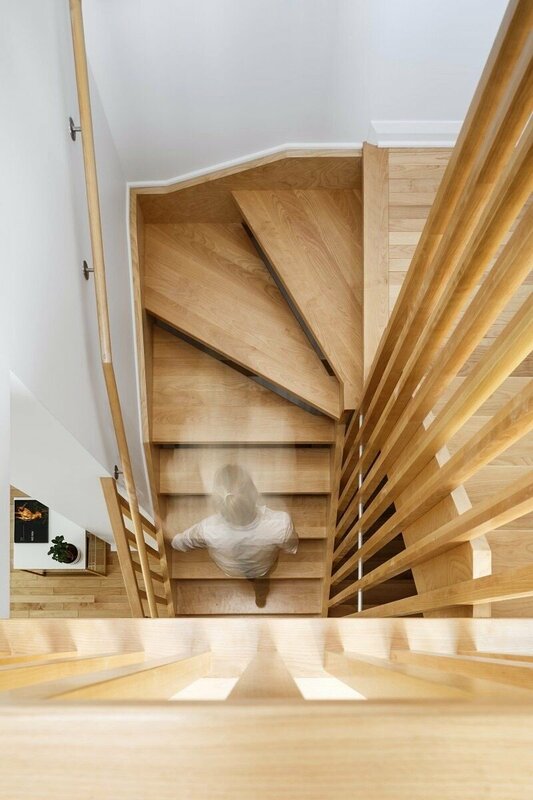 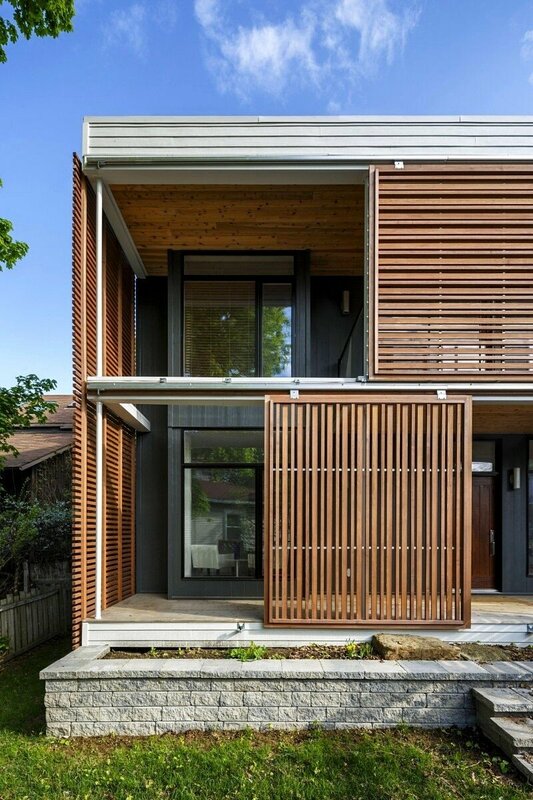 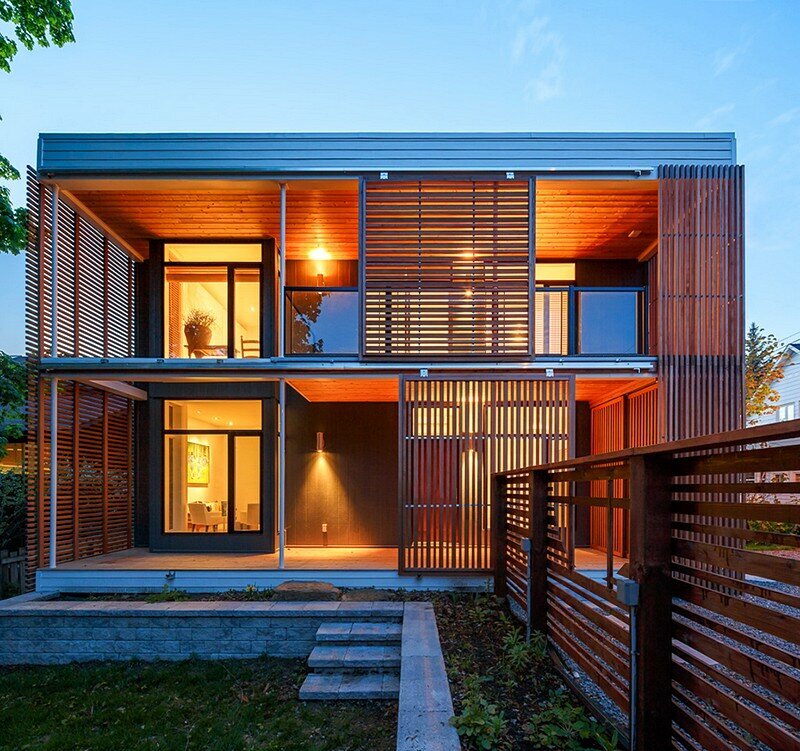 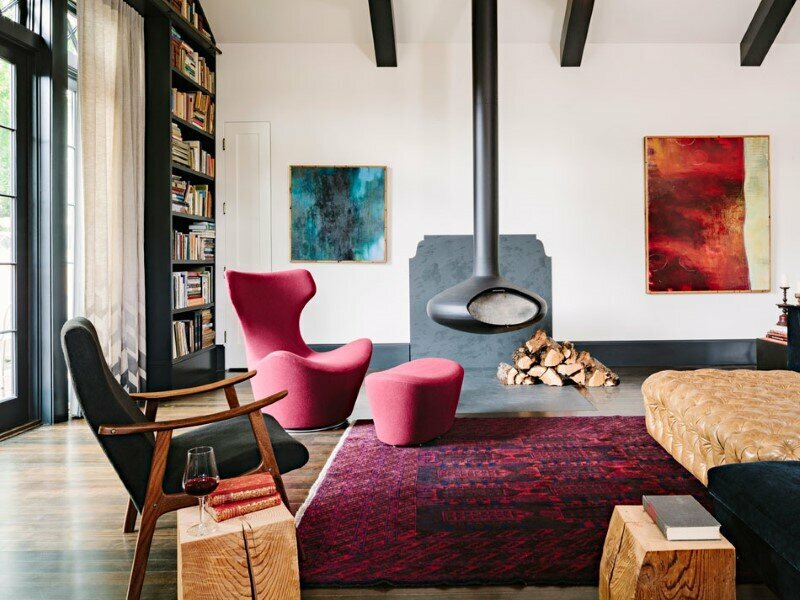 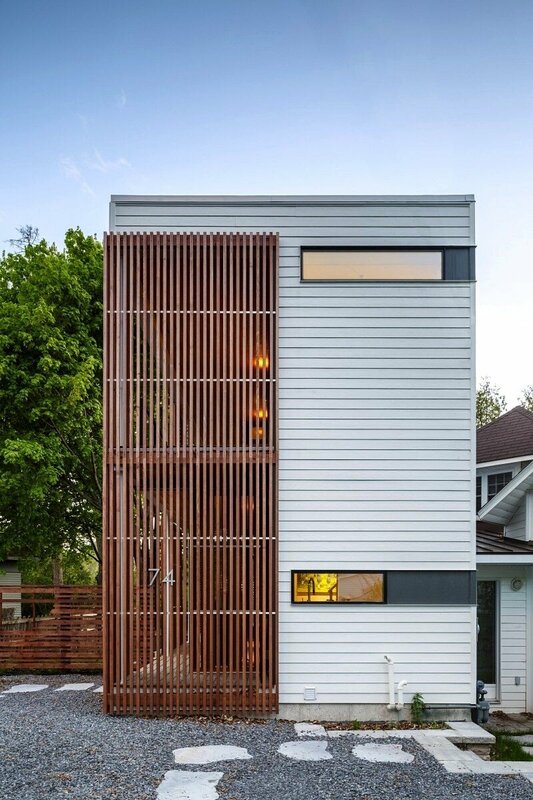 Geny House is a contemporary residence designed by N45 Architecture in Ottawa, Ontario, Canada. 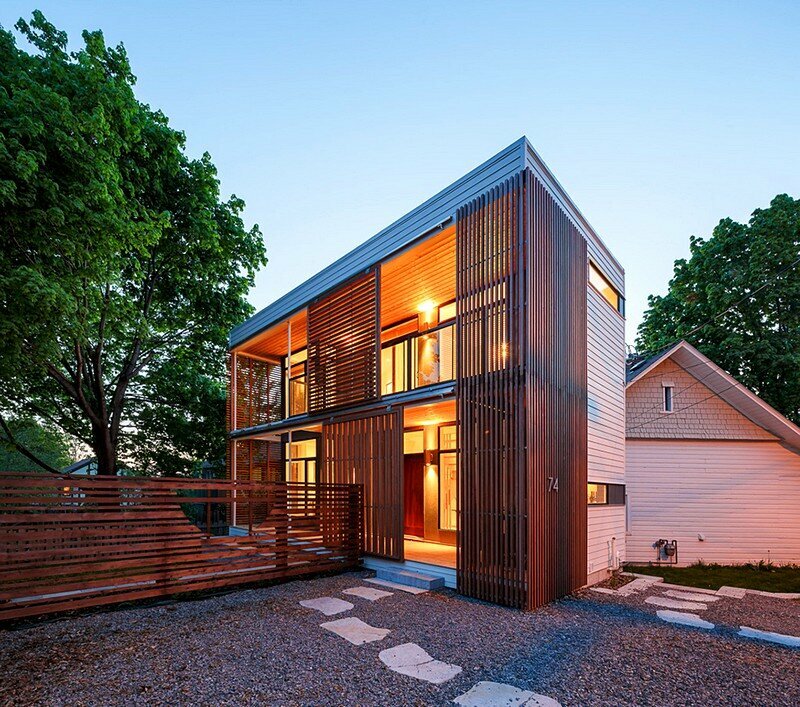 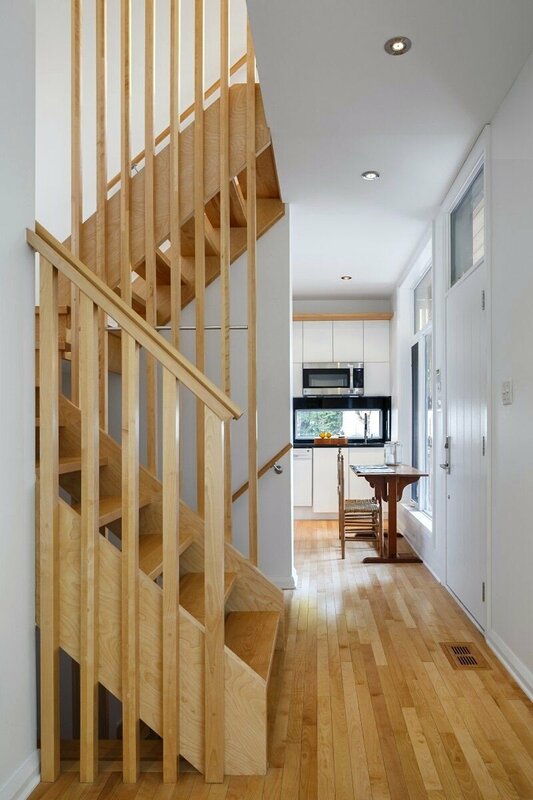 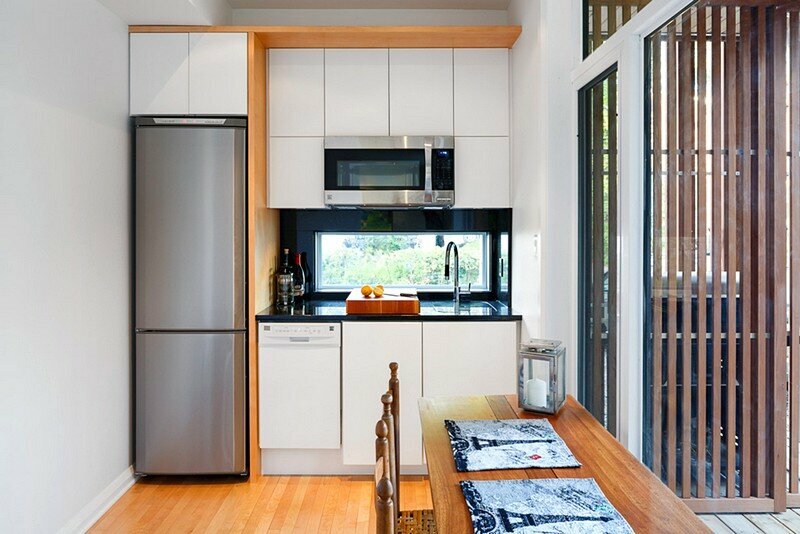 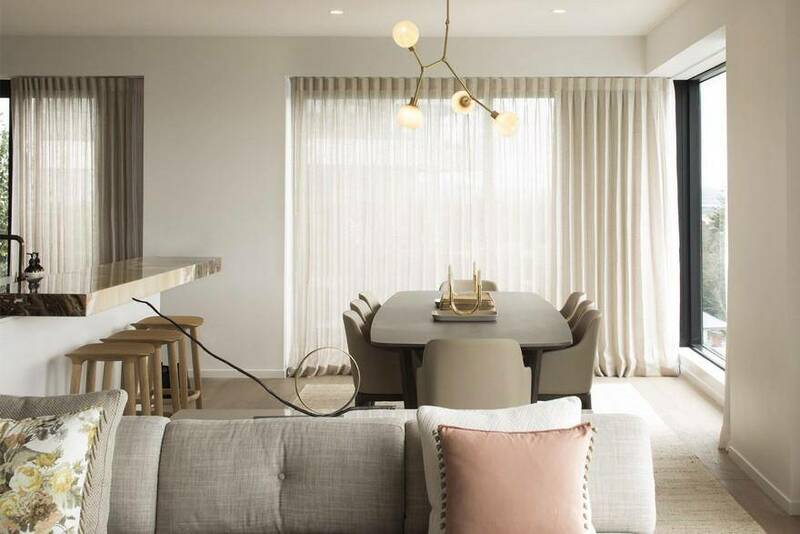 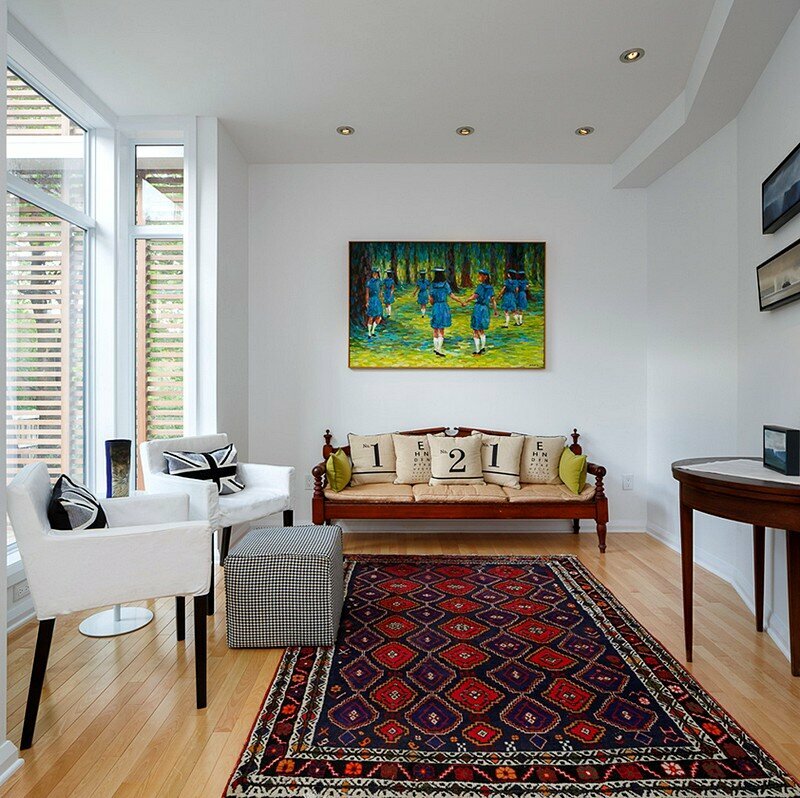 The 650 sf, eight foot wide infill is located on a narrow in Ottawa’s Carlingwood neighbourhood. 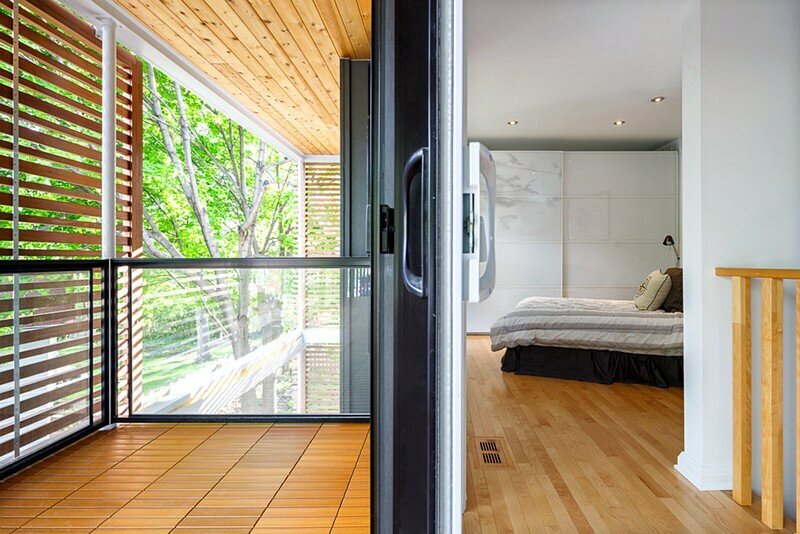 Inspired by the simplicity of Japanese houses (minka) allows spaces to flow from one to another; living space and kitchen on the ground floor and the bedroom and bath on the second. 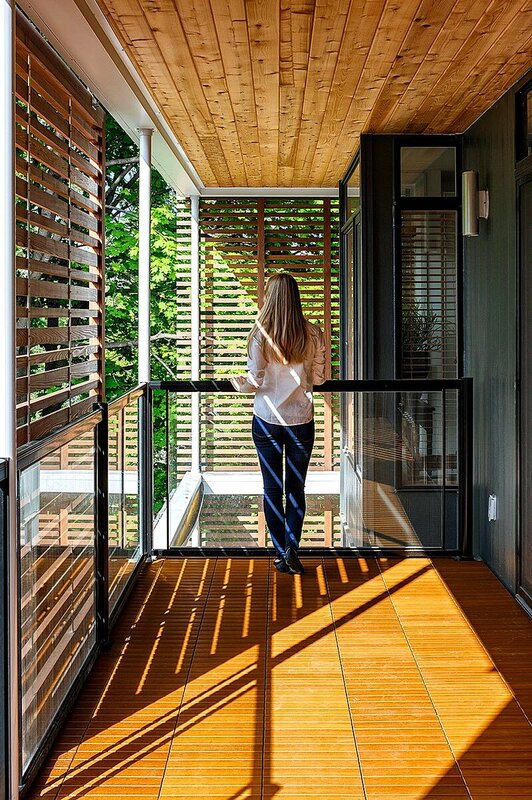 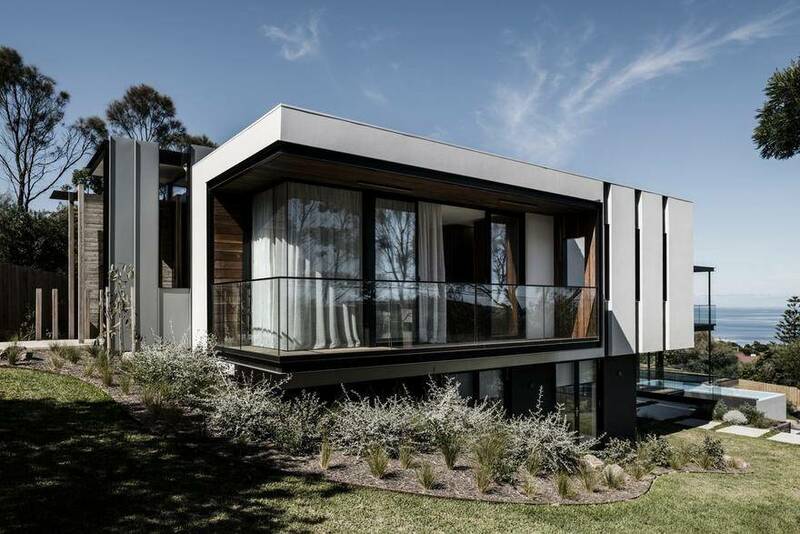 All spaces have expansive windows facing south and opening onto verandas. 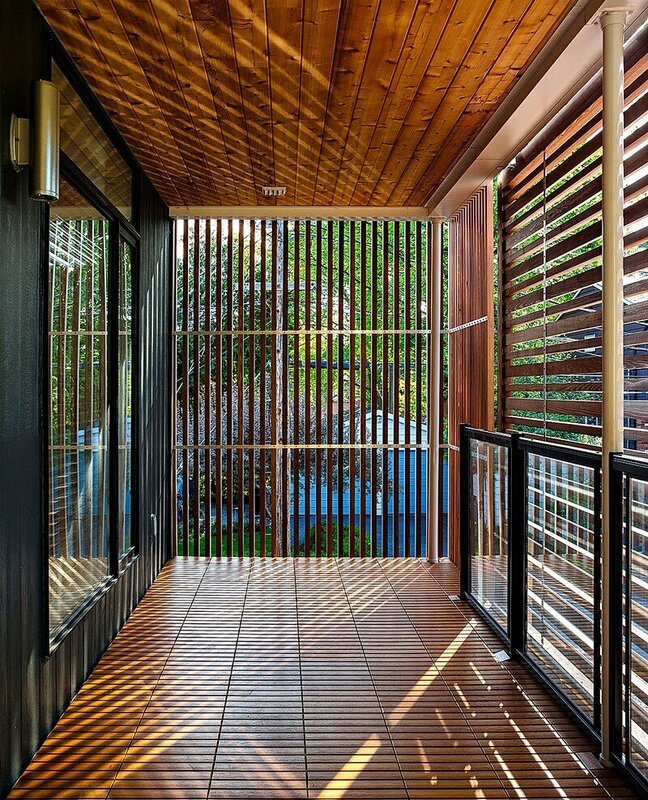 The verandas provide summer shade and outdoor living space. 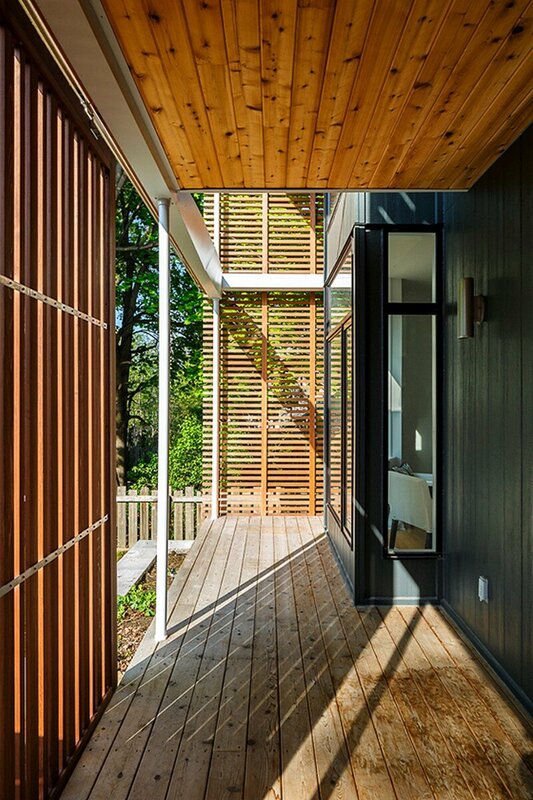 Each with a sliding cedar screen for sun control and privacy. 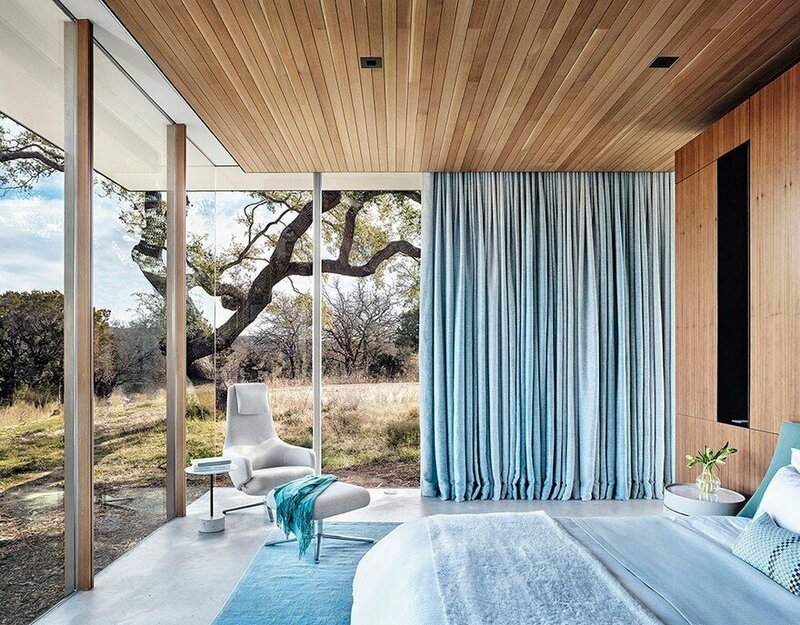 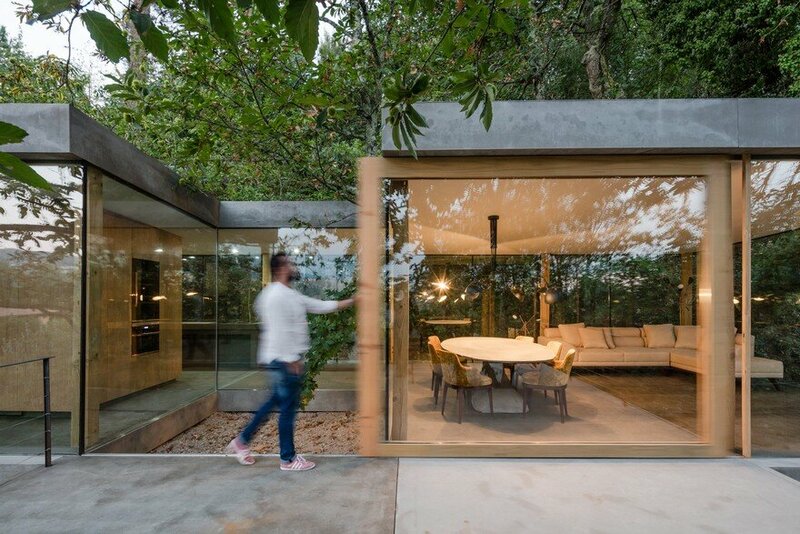 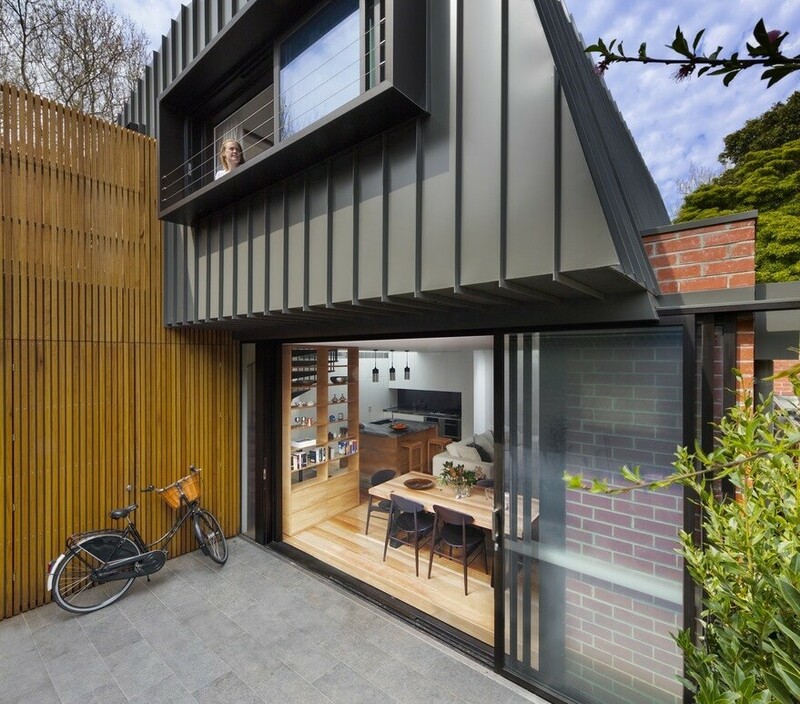 The windows provide a connection to the landscape creating the illusion of being in a larger space.